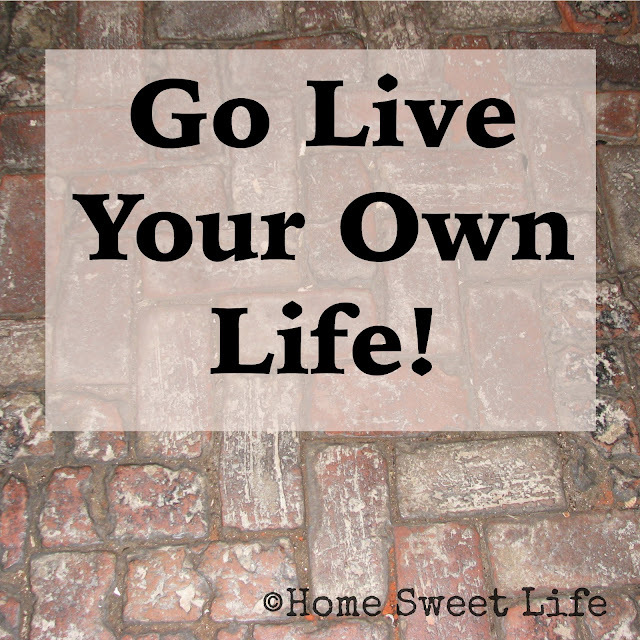 Go Live Your Own Life! Do you have a favorite person you follow on Social Media? Have you truthfully asked yourself any of these questions recently? Is it time for a little soul searching and course adjustment? When did we cease to be happy as individuals? Why does everyone think their answer is also the best answer for everyone else's life? Why are we as Americans, dare I say we as Christians, so obsessed with what other people think about us?!? These are just a few of the things I've been thinking about recently. I've been ruminating on them as God has been reminding me once again that my identity is in Him, not in the clothes I wear, where I live, or the car I drive. We have got to stop comparing, grading, and sorting,... both ourselves and other people. We need to find our own identity in Christ, and our personality from within ourselves. I have loved most of these past 18 years of motherhood. (There were a few days in there-yowsers!) I've learned a lot about dying to self, about service to the helpless, and about God supplying all my needs. There is one thing I've been struggling with lately though... What happened to me? Where has my personality gone to hide? Our girls are growing up fast and will probably move out in just a few years. What will I do then? Who will I be? Right now I have no idea. I am sure that God's plan for my life continues, but He hasn't let me in on that part yet. I'm OK with that. In the meantime, how do I find my personality (the me) I lost along the way? Do I want to spend my precious free moments like I did before Kurt and I had children? Yes, ... and no. Do I want to go back to that same personality after 18 years of the refining fire of motherhood? Probably not, and yet, I still have some of those same passions. I like to do some of the same activities. As I stretch myself again to try out those activities that I think will interest me as an older, hopefully slightly more mature woman, I am sure that my life will continue to change. The one thing I'm most thankful for is that God will still be right there beside me - leading me - loving me - and meeting all my needs in Christ! God does not change. So go ahead and Go Live Our Own Life! I'll be living mine! I've never really been one to do a weekly round-up post. I guess that's because our girls were both past elementary age when I began blogging. I view weekly round-ups as something that appeals mostly to younger families Frankly, if there were homeschool blogs out there when our girls were little, I didn't know anything about them. I wrote down some things when they were littler, but not often. Usually I took pictures! If digital cameras had been affordable for anyone besides Professionals, I would have taken even more! I've been doing a lot of reflecting, cleaning and sorting recently, and so I decided I'd just share some of those thought with you over the next couple of months. If you're wondering when I'm going to post the next installment of our Working and Homeschooling series, it will probably not be until August. Fear not ~ there are still more posts to come in this popular series! Even though we're only technically about a week into Summer, the girls have been busy working on their 4-H sewing projects since early May. Recently, I've been giving them a lot of tailoring advice, troubleshooting the sewing machine, taking the machine to the repair shop for help, helping interpret the pattern instructions, and reminding them to sweep often. Why would I spend our summer this way? Because both girls learn patience, perseverance, and real life skills while sewing 4-H projects. Maybe someday one of them will make their own quilt like the one on the picture (one you'll hear more about in a future Roadtrip post.) In the meantime, they're learning to alter patterns, and thus, are able to alter the clothes they purchase at thrift and consignment shops so they go from somewhat fitting, to fitting well. Em is still really slim, Arlene is really tall. Sewing will be a lifelong useful skill for both of them to have. I've been sorting, selling, and donating books. Some might call it a travesty to move books out of your home. I'll be honest, most of what has left has been curriculum that we've finished, or decided not to use with Arlene, because her learning style is so different from Em's. Some of the books I have earmarked for donating to the local friends of the library book sale are ones I've had for years, but not looked at in the past decade. If those decorating books haven't re-caught my eye by now, I'd rather have the shelf space back for something else! I've been working. It happens. I have a terrific boss who understood when I told her I needed to cut back from four days a week to three. It's been a little tight on the budget, but I've felt so much better physically that it's been worth it! Sometimes, I've been out in the yard. I love to garden, but I've been feeling as if I'm NEVER actually home to be in the garden! Thus, not everything got planted I had planned, but we are trying to maintain the few things we did plant. The yard has been getting mowed regularly, and I've enlisted help from both girls to try to tackle the weeds in the flowerbeds. It's a work in progress! All three of us girls have been volunteering at Conner Prairie. There is a new exhibit opening on Friday, so there have been extra trainings in preparation for that. The girls are co-captaining one of the youth spinning teams for the State Fair in August, so there have been spinning practices, plus their regular volunteer days. Once again you may be wondering ~ WHY? The youth volunteer program at Conner Prairie is one of the best in the nation! They not only train the teens in history, guest interactions, and historic re-enacting, they train them for real life! Deadlines, uniforms, costumes, trainings, encouragement, it has them all! This is Em's seventh and final year in the youth program as she is aging out at the end of this summer. Besides teaching her about Christ at home and at church, I'm pretty sure this program has had one of the next biggest influences on her character development. It's not easy, but the rewards are long-lasting. I've been thinking about all the Mamas out there who are just starting out on their homeschool journey. How they're so fortunate to have so many choices for curriculum, but how I see so many of them overloading their children at a young age. I want to reach out and hug each and every one of them and tell them to not worry ~ God is in control. Some of them might laugh at me, but they need to know that whether you spend $1000 a year on home education, or $10 a year, your child needs you and your love and mercy way more than he or she needs a math curriculum! 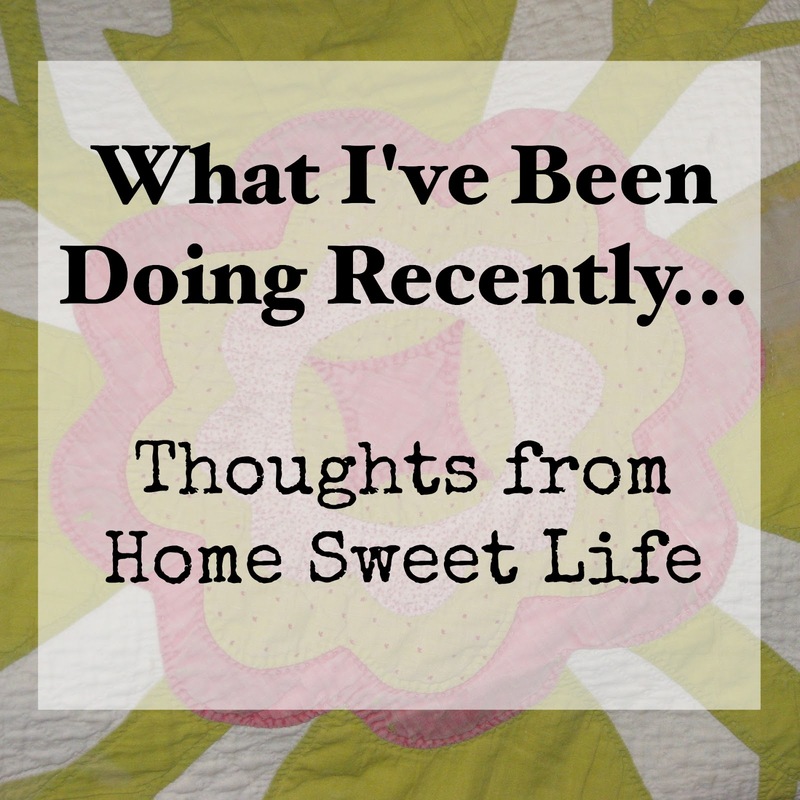 I love seeing the variety of homeschool blogs out there. I hope they encourage other Moms to try something new, but not to heap guilt on their heads. It's a fine line between saying "Here is what worked for us," and saying "You need to do things THIS way." What has God been doing recently through me and for me? He's taught me how to love others again. He's shown me where I've failed and need to apologize. He has shown me once again that what the world thinks doesn't matter at all, but what HE thinks matters most of all! He has been restoring my health. Things had gotten out of whack in a lot of areas and since last Fall He has been showing me what needs changed. It is really wonderful to have days when you wake up and feel good, instead of dreading another 24 hours of pain. This body keep aging, but with God's help, I'll make the best decisions about how to care for it. I've been seeking after God, and I've found that He has been there all along, waiting for me to stop chasing my crazy half- made dreams and start following His plan again. He hasn't asked me to be someone else, He just wants me to be His child. I don't know where His plan will lead me, but I'm finding peace in being able to once again say "Thy will be done." Parents who prefer to do their Homeschool record keeping online will want to check out the newly updated MySchoolYear.com. As a part of the Schoolhouse Review Crew, I was asked to dig deep into My School Year (Homeschool Record Keeping) to see the various ways it could be used for both planning and record keeping. Because I've always used paper and pencil, there was a big learning curve for me, and I'll let you know the best thing I found to help me was the email mini-lessons that My School Year sent me every few days! An online program that can help you both plan and track your student's various assignments will need to be highly customizable. I found My School Year to be that and more. It has a lot of features and choices. Some of those I may not actually use during the upcoming school year, but I tried several of them so I could give you an overview. To start with, let's talk about planning. Many homeschool parents have a general idea of what they want to accomplish each year, and that is a good start. The actual nitty-gritty comes in when you need to adapt a curriculum's suggested lesson plans to your actual life! Because this opportunity to review the online homeschool record keeping arrived just after Arlene had completed her schoolwork and was beginning her summer vacation, I got a little creative on her assigned "classes" so I could experiment on the various types of scheduling. I decided to use her 4-H projects, and her spinning (wool, not bikes,) for her volunteer job as her classes. My School Year gave me the option to choose subjects (from their list or to create my own,) and then list classes under each subject. If you're wondering why it asks for subject first, it is because My School Year can track the time necessary to complete the lessons, and from that create reports and a transcript. If you live in a state that requires record keeping on time spent in each subject, this feature of My School Year could be quite valuable. Once you've assigned a student subjects and classes, you can enter what you want them to do for each class. I'll be honest that this part took me a little longer than expected to master, but when I went back and re-read the email mini-lesson on scheduling it made more sense! I had options to have Arlene work for a specified amount of time, or to complete the next assignment. I now have reports that easily show me how far along she is in her Summer term assignments based upon if she completed each day's lesson time. If I've forgotten to check in and mark her lessons as completed, My School Year will remind when I login so I can mark them as completed, or choose to reschedule the lessons. The record keeping part of My School Year is simple, and creates great "show and tell" reports for you. The program will walk you through adding in books read, field trips taken, and awards won for each school year. If Arlene was doing a traditional class, like Math, instead of her 4-H projects, My School Year would allow me to weight her assignments and tests towards her final grade. Then it would let me transfer her class to her transcript when it was completed. Yeah, it's pretty simple, but profoundly helpful all at the same time. For grading, you can use a letter based or number based system, or a pass/fail grade. You can adjust the low/high percentage for the various grades assigned, and yes, it will even calculate a GPA for you. One thing I really thought smart about the program is that each week, it would send me an email early each Monday morning (like 3 a.m.) to remind me of Arlene's upcoming assignments. If you have several students, this could be a great way to have it give you a checklist for what needs to get accomplished each week without pulling out your various papers every morning. Overall, if you are looking for an online program to help you with your homeschool planning and record keeping, I think this one from MySchoolYear.com is definitely one to try out. For myself, I don't know yet if we will continue to use it for Arlene this Fall, as I've always been a paper and pencil type of planner. I think I'm spoiled because our state does not require a lot of annual reports about hours and subjects covered. If it did, I would definitely plan on continuing with My School Year because it is fairly simple to use after you get the hang of the initial set up. To find out what other members of the Crew thought about using My School Year (Homeschool Record Keeping,) click on the banner below. Have you ever been in that spot? The one where you are pretty sure the world as you know it is going to explode if you add one more teeny, tiny thing to your to-do list for the month. More times than I care to recount. More times than a Mama should ever get that close to the edge of chaos. How do we get out of that spot? 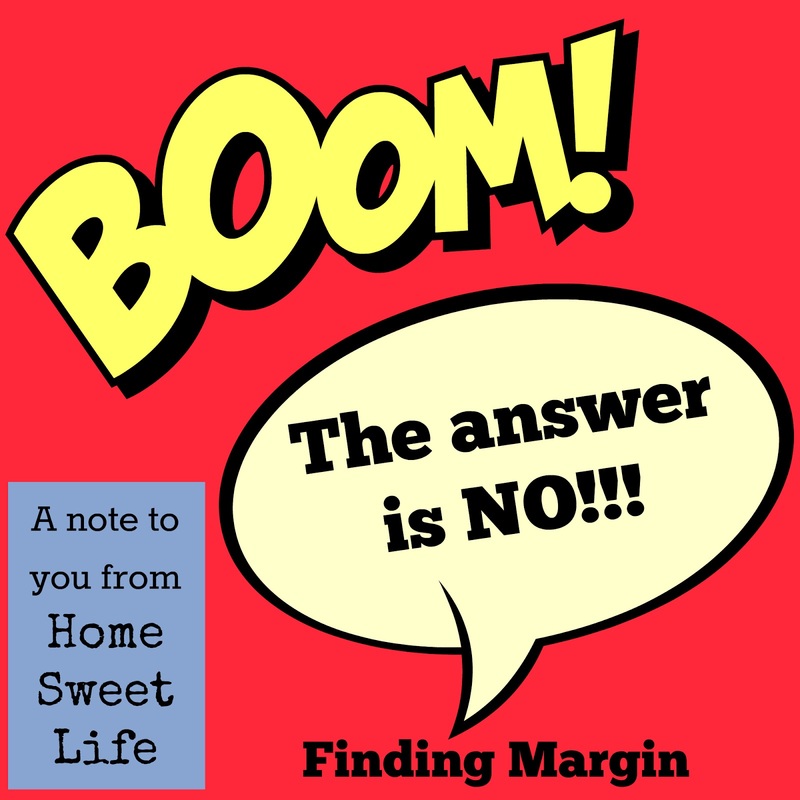 How do we regain some margin in the craziness of life? Hopefully you know what margin is. If not, let me give you a brief visual example. On a page, margin is the white space left all around the text. It's that nice wide border where you might write a note, or doodle, or just enjoy the pristine page. Margin in life is the room to breathe, the room to change things up without upsetting the apple cart. Margin is letting God control your schedule instead of your schedule controlling you. In your life, margin is the unscheduled time. As Americans, we seem to have forgotten what margin is. We've been working so hard to create the perfect planner that keeps track of all of our life in 5 minute increments so we can pack the most living into every . . . single . . . day. I get that. Live life to the full. Except what we're living isn't the life Jesus was talking about in John 10:10. Jesus was talking about a life full of Him. We've turned it into a life full of us. What does that have to do with us today? BOOM! The answer is NO!!! The answer to the next thing that comes along should probably be NO!!! Not just "no." We should not be afraid to put aside something good to seek out what is best. Seek out what is best. Seek out Jesus to find margin for your life. This doesn't mean breaking all your commitments, it means seeking HIS will for your life and your family. Jesus told us to let our yes be yes, and our no, no. If you have given your word to attend, present, or organize something... then keep your word. Ask Jesus for the grace and the strength to complete what you have started. Then ask Him for the courage to say NO. No thank you. No, I'm sorry that won't fit in our schedule. That sounds like fun, but we're going to have to pass this time. Interesting, but I don't think that will fit in our schedule. Perhaps it is time to learn some new phrases. Ones like: Let me talk with my husband, pray about it, and get back to you. I am so glad you found something that your family is enjoying, but it isn't the right time for us to take on something new. How exciting for you, we'll have to schedule a time so you can tell me how it goes. Thank you for thinking of us, but our time is already committed. I've been through so many seasons in my life. I know there are more to come. Whenever I've lost my margin, whenever I've lost my focus on Christ, my family suffers for it. I suffer right alongside them. I want to live the full life that Christ taught about. I want to spend time with Yeshua. I want to have margin in my life for God to doodle in times of refreshing, times of encouraging others, and times to enjoy the moment. If I fill in all of my margin with my own notes, I crowd out the opportunities God has planned for me. When I remember the polite way to say no to the good things, He points us to the best things. BOOM! Sometimes life has to hit you like a freight train to remind you of what you're missing by being busy. Would it not be better to have God teach us the more pleasant way of following Him? Of learning how a gentle no opens the way for many more yeses in Him? Praying you find margin in the craziness of your daily life. Praying that you learn to live life to the full in Christ! - I just can't take it anymore, I must have a break! YOU are the perfect teacher for your child...because of your imperfections! Your husband does not have to understand, he only needs to love you. God understands, and He loves you more than you can fathom! Your children will learn to read in their own time, they will understand long division,... and some day ~ they'll even be able to do their own laundry! For all the things I used to be anxious about as a Mama in the trenches ~ The answer is JESUS! For all the things that still drive me batty about my teens ~ The answer is Jesus. The answer, my friends, is ALWAYS Jesus! Know that He cares for you, and you are loved. Have you ever seen one of your children struggle with a particular task, but been unsure how you could help them? 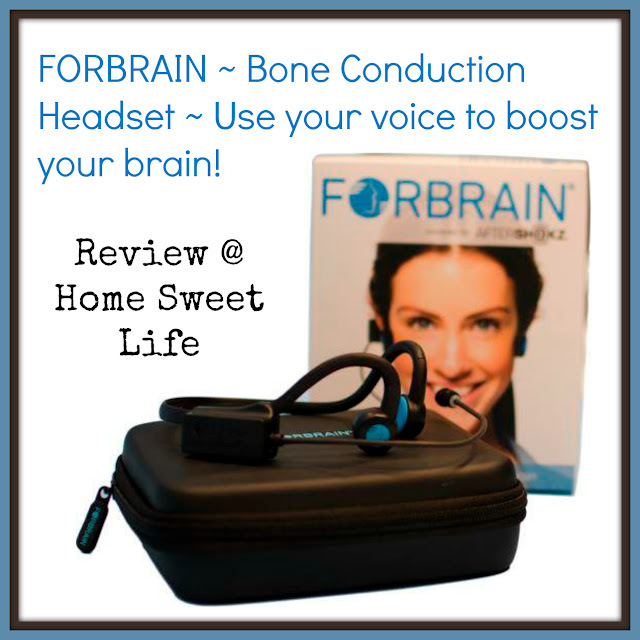 I’ve been in this spot several times over the years with Arlene with her hearing and speech so I was intrigued when we learned about Forbrain - Sound for Life Ltd and their bone conduction headset. We’ve been blessed to be able to review the Forbrain headset for the past six weeks, and I am starting to see some significant improvements in Arlene’s speech patterns. Because the recommended protocol suggests an initial usage of six to ten weeks, we’ll be continuing Arlene’s use of the Forbrain headset for a few more weeks before she takes a break from daily use. The Forbrain bone conduction headset is designed for the user to boost their own brain through the use of their voice. 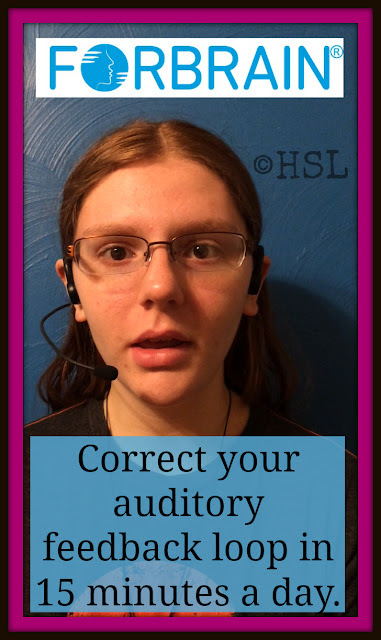 The user wears the headset while reading aloud or talking for 10-30 minutes a day (depending on their age) and it helps them hear their own voice better. This improved hearing of their own voice, while still being able to hear outside noises (other people) helps strengthen their auditory processing. It becomes a sensory workout for the nervous system, but in small chunks of time so as not to overwhelm the user. Arlene is in the middle of the age categories (she just turned 16 late last month) for using Forbrain, so she has been wearing it for 15-20 minutes each weekday. She could have also used it on the weekends too, but because we have been away from home most weekends, we’ve stuck to her using it on the weekdays. As a young child, Arlene struggled with allergies, which caused her to not hear clearly. Because everyone else sounded muffled to her, she often did not enunciate well. We have worked with her over the years to learn to enunciate better, but she still struggles when she is tired or excited. Her words will often trip over themselves. I wanted Arlene to use the Forbrain headset in hopes that it would help her understand how she sounds to the rest of us when her words get jumbled, or she breathes in the middle of words instead of between them. It has been six weeks since Arlene started using Forbrain. She says she hasn’t noticed a big improvement, but I am beginning to notice specific improvements in her speech and voice patterns. I think it's working! Arlene has worn the headset while doing a variety of talking activities. Her favorite way is to wear it while reading aloud from The Hobbit. She likes how it helps her hear the character voices she creates. She has worn it while singing at home, as well as when we were simply talking. Last week she wore it while reading questions to the family as we played a board game. The idea is simple: use it daily. There are a few specifics about Forbrain to mention here: do not wear it for more than two hours a day, even if you’re working on the intense protocol (like memorizing a speech.) Also, Forbrain is for ages 3 and up. It should not be used by persons with Parkinson’s disease or epilepsy. It is unsuitable for people who have more than an 80% hearing loss in both ears or a cochlear implant. Forbrain has an dynamic filter that alternates while the wearer is speaking. It enhances long vowel sounds. When you first put it on, it takes a few minutes to get used to the filtering. Once you’ve tried it a few times, you don’t notice it as much. Part of the genius of the design is that the headset leaves your ears open to hear outside voices, so it can help you modulate your own voice to match the speed or volume of those around you. Forbrain is kind of weird at first because most people think they hear themselves fairly well. When you put it on you sound so much different than you thought you did, closer to how you sound on a recording. I got used to the difference in sounds pretty quickly, but I did learn a lot during the process. I found out I don't sound as good as I thought I did when I sing, but my voices when I read aloud are better than I thought they were. In Arlene’s defense ~ she does sing wonderfully, with or without Forbrain! Forbrain is an expense tool ($359 US) but it comes with a 30 day money back guarantee, and a two year warranty. The Forbrain bone conduction headset comes with a sturdy storage case that zips closed. You charge the headset via a USB port/cord. If you charge the headset fully, it lasts about six hours of talking time. If you wear glasses, or have a lot of hair (like Arlene) you may want to spend a couple minutes in front of a mirror adjusting the headset to its best position the first few times you use it. Overall, I am seeing improvements in Arlene’s speech patterns and enunciation. I think if Forbrain had been available when she was younger, I would have seen greater improvements in less time. Because we’ve been working on these things over the years, the improvements with Forbrain are slow but steady. I am hoping to schedule out time over the summer to use the Forbrain headset myself to work on my short-term working memory and attentiveness. Forbrain’s website is chock-full of information about how the headset works, as well as suggestions for usage protocols, along with several testimonials ~ from laypeople and from speech professionals. I encourage you to visit their website and learn more about how Forbrain might benefit someone in your family. While it may not be the answer for everyone, it certainly shows promise for helping with a large range of auditory and language processing issues. Connect with Forbrain on Facebook, Twitter, or LinkedIn, or use the live chat feature on their website. To learn what the other Crew families experienced while using Forbrain, click the banner below. You might have noticed I haven't been posting as much the past two weeks. This goes hand in hand with this week's topic: Protecting Family Time. 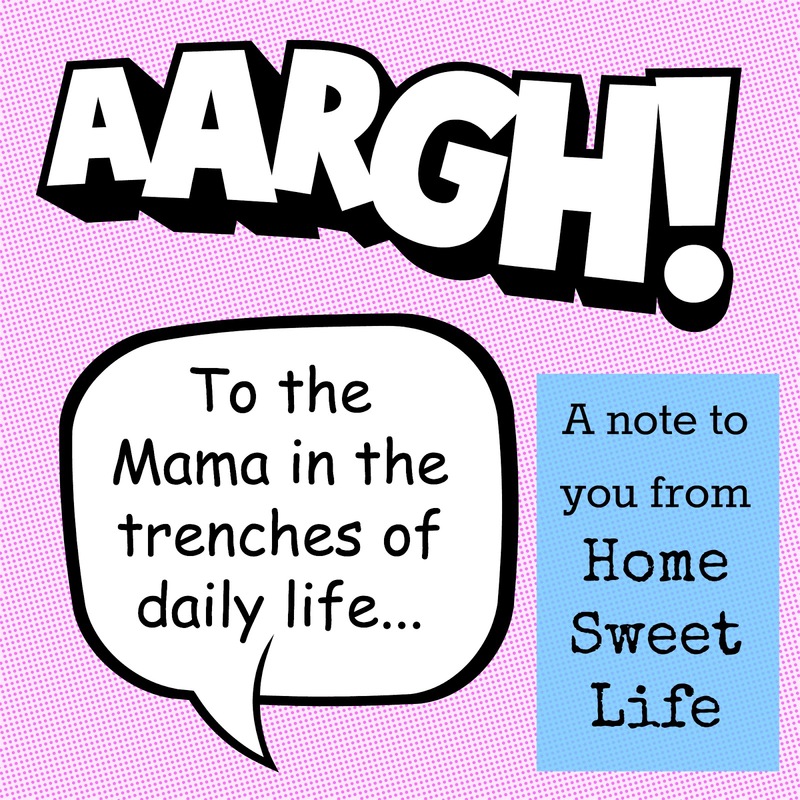 Mamas who work and homeschool have to make decisions about how they spend every hour of every day, every minute really, and they have lasting ramifications. Mamas who get the privilege of staying at home full time may not fully appreciate the opportunities they get for a "do-over" that are quite limited in families where both parents work. I cannot change the past, neither can you. Once we've made a choice, we live with its consequences, good or bad. What we can choose to do is be selective about how we spend each day God grants us of our future. You MUST protect your family time! When you work and homeschool, family time is scarce. You need to protect it, nurture it, and make the most of it. If someone asks you to do something, anything, you need to take your answer before the filter of God's Word and see if it is something worth giving up family time for. Often, especially when your children are little, the answer is no. There were many years when our girls were little that we did very little socially besides church, and the occasional homeschooling field trip. It didn't mean we didn't want to have friends, we did, but for Kurt and I, time spent with our friends without the girls was minimal because we understood how precious every hour we had of family time was to us. We did things as a family. If we could not afford for all four of us to go, or of it was an event where children were not welcome, we skipped it. Harsh? Not really. Sitting where we are today, with an 18 year old and a 16 year old, we can all look back on the memories we made as a family. That is worth far more than watching a movie with friends or a dinner out at the local restaurant. It was worth protecting our family time, and it still is. However your family deems to spend your free time, make sure you are spending most of it together. There will be years when you are working and homeschooling that seem as if there is no free time at all ~ find some, even just a couple pf hours, and go make a memory with it! As Christians, we are called to not forsake the assembling of the saints. Go to church together. Consider the point that if both parents are working, this may not be your season of life to help with all the extras. You may be able to schedule part of a week off of work to help with Vacation Bible School, but you're probably not in a position to teach the children or watch toddlers every week. You may be able to help take food to shuts ins, but not commit to weekly choir practice and singing at every service. This is a conversation you need to have with your spouse! Together you seek God's direction, and ask for His help in planning and protecting your family time. You first ministry IS at home. So what might family time look like? Every family is different, but I'll give you a glimpse into what we've done in the past. Games ~ Instead of focusing on organized sports, we chose things we could do together: board games, tennis, climbing around the playground at the park, swimming, creek stomping. Outings ~ Picnics at the local park, hiking (we've always purchased a State Park pass so we could visit a variety of parks and only had to budget for it once a year.) Baseball games (many pro teams have family packs with discounted children's tickets so its only a couple more dollars for the whole family than it would be just for two.) The State Fair: pack a huge cooler of food, water bottles and sunblock and spend the whole day. Events ~ Many local communities have free concerts, or places where you can volunteer a few hours in exchange for entrance to an all-day event. 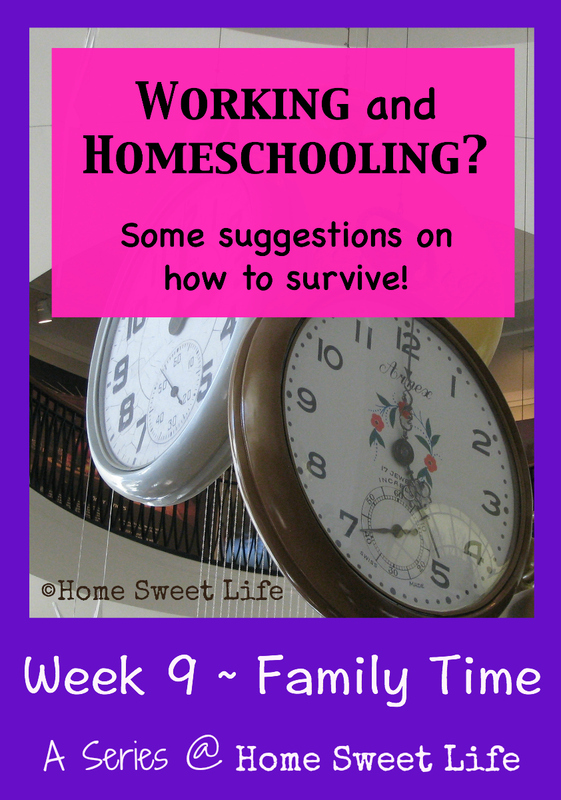 Keep an eye on local homeschooling or Mom-based activities groups to search out the details. Don't be afraid to contact the organizers of an event you'd like to attend and ask if they have a volunteer program! Birthdays ~ when the Grandparents ask what your children want for their birthdays, suggest things you can actually use together as a family: sports equipment or a family membership to your favorite museum. Library card ~ there is no less expensive way to read, watch movies, and listen to audio books than to utilize your local library! Even if you live outside of a library district and have to pay for a card, it is money well spent for the year! So what have we been doing recently in our protected family time? Visiting relatives, having a birthday party, going to 4-H meetings, going to a cook out with friends, visiting a historic home. We've been busy creating memories. You'll read about several of those trips soon here on the blog. In the meantime, go find some family time and plan something fun and inexpensive. The more time you spend together as a family, the more you'll come to appreciate it, value it, and protect it. God placed us in families. Cherish them! 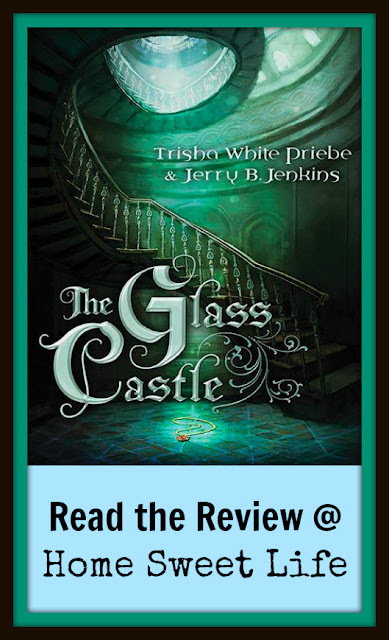 The Glass Castle by Trisha White Priebe and Jerry B. Jenkins is a Middle Grade Fiction title from Shiloh Run Press. Arlene (16) and I have both enjoyed reading this book, even though it is geared towards children ages 10-14. The story of The Glass Castle centers on Avery, a country girl who was kidnapped on her 13th Birthday and carted to a mysterious castle in the city on the hill. Shiloh Run Press is a division of Barbour Publishing, and The Glass Castle is the first book in The Thirteen Series. The second book in The Thirteen Series: The Ruby Moon is scheduled to be released on October 1, 2016. Our review is going to include some spoilers, so if you want to be totally surprised, stop reading now and go get your copy! The Glass Castle is about a young girl who on her 13th birthday is taken from her home to the nearby castle, to work with other 13 year olds. Its an interesting book filled with adventure, fun, and good reminders about the importance of family. Be prepared to get book two when it comes out (this Fall) if you like the first one. because the story ends with a very open ending. Even though the main character is 13 I would recommend the book for 11-16 year olds as even at 16 I liked it and can't wait for the next book. The Glass Castle is a story of intrigue, politics, and daily life. When Avery is unceremoniously dumped upon the floor of the castle, she is surrounded by a large ragtag group of other children, who she later learns are also all 13 years old, who are wearing magnificent clothes, but have dirty feet and messy faces. None of them know exactly why they have been brought to the castle, but they know they cannot leave. Avery develops friendships with Kate, Tuck, and Kendrick, who work together to try to solve the mystery. The Glass Castle includes some wonderful truths for your Middle Grade readers to absorb. Most of these are either wisdom from Avery’s new friend Kate, or memories of lessons her mother taught her when she was younger. Overall Arlene and I both enjoyed reading the book, and are looking forward to reading the sequel this Fall. However, there were a few things we think parents might want to know about before handing the book over to their 10-12 year olds. There is a budding romance between a couple of the main characters. Nothing untoward, or physical is mentioned, but you do read about the female’s thoughts on it, and her musings as to whether or not this is what love is. To both Arlene and I this seemed a bit mature for a character who has just barely turned 13 and has only known the boy for a few days. In today’s world where relationships are encouraged at too young of an age, we would have preferred the story stayed focused on friendship and not turned to romance and a secret picnic. The Glass Castle does not give you a time frame to set the story in. You may deduce a general time in history from early in the story that does not sit well with later features of the story. There are points in the story that Arlene and I discussed that appear to be anachronisms. An anachronism is defined thusly: a thing belonging or appropriate to a period other than that in which it exists, especially a thing that is conspicuously old-fashioned. Originally I was thinking 1600’s from the descriptions of people, clothing, and relationships, especially a recurring reference to a “country bride” marrying at a young age (13 or 14.) However, later in the story the children discover the Castle’s library and book titles are mentioned that were published in 1726 and 1861. Arlene decided that the books listed in the castle library require it to be set in 1880 or later. These seeming contradictions will probably go unnoticed by many of the target readers, but may stand out to older readers. Overall, we would give The Glass Castle a grade of B. It is available as a hardback book like we received (250+ pages) or as a ePub or Kindle format. Last week we visited our local library and Arlene found The Glass Castle available on a 4CD set from Oasis Audio. Another great option! You can visit Shiloh Run Press/ Barbour Publishing on Facebook or Twitter. To read more reviews of The Glass Castle, click on the banner below.